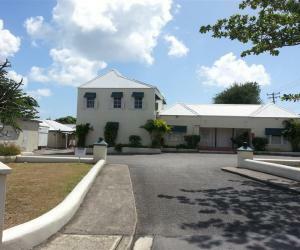 Mars House is a 2-storied commercial building ideally located along public transportation and the highly trafficked Pine Road in Belleville, St. Michael. It consists of 4 spacious office spaces, 2 on each level, and offers several configuration options. Each space features a reception area, lunch room and washroom facilities. It is fully air-conditioned. Mars House, up until recently, housed the Japanese Embassy with Ambassadorial quarters. Two offices are currently rented. It offers several rental opportunities for professionals including doctors and lawyers offices among others with potentially a good rental income. To schedule a viewing, please contact Coral Stone Realty at 246-420-3687/246-266-8888 or email us at sales@coralstonerealty.com.